After the wedding, the bride (and sometimes the groom too) has a photoshoot and gets down and dirty, literally trashing their wedding dress. 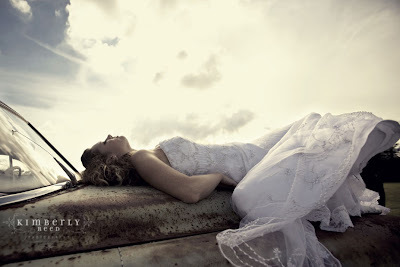 This consists of anything from swimming in the ocean, rolling around in the sand, playing in a railroad yard, laying on the hood of an old car, all in the bride's gown. The sky's the limit with these outstanding photographers. The result: FABULOUS & BEAUTIFUL photographs!!! I cannot get over how amazing and artistic these shots are! 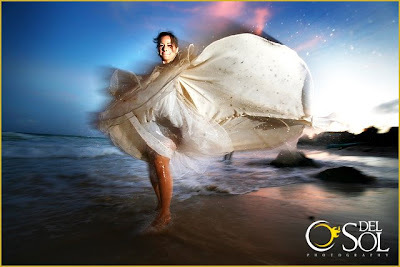 "Trash the Dress" lists Ben Chen, SoCal Pixels (Arizona, California, Mexico, Worldwide Destination Photographer) as their choice photographer from the West. Brides, what do you think of this concept? Would you do it?